3 apple sea salt smoked and 3 hickory smoked sea salt and labled. I love these just the right size 8oz jars. Very nice!! 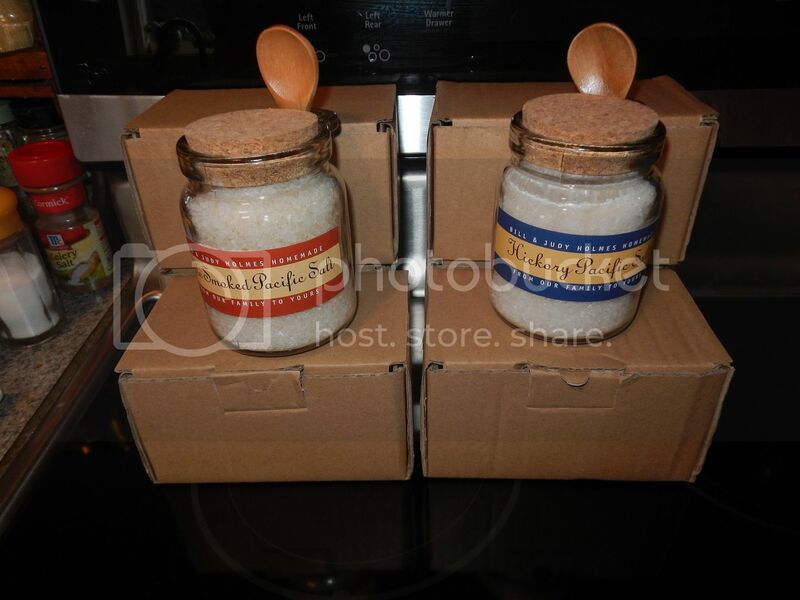 I am going to try my first batch of salt today. Hope it works out!! I Love the jars you're using. Mind if I ask where you get them??? What do you put the salt on in smoker cheesecloth?